This classic Final Fantasy-style game is beautifully executed, fun to play, and not to be missed by anybody who has ever loved the JRPG genre. Overall Bravely Default is a game that has given me faith in the JRPG genre. It showcases that not every turn-based game has to be a boring slogfest and while the story doesn’t deviate too far from JRPG standards, the dialogue is clever enough to be enjoyed instead of feeling annoying. From top to bottom, Bravely Default matches its name; this is a bold, brave step forward for the JRPG genre and Square Enix, as they’ve somehow managed to out-Final Fantasy Final Fantasy. Bravely Default is a flagship series in the making and worth exploring even for the uninitiated; its craftsmanship is simply too good a testament to the medium to pass up. As the credits rolled on Casino Royale I felt hopeful for 007's future, and Bravely Default has me excited to see how this new thread of Final Fantasy unravels. If future entries can leave me as frantic as its combat does, and support it with modern flexibility while retaining that old-school feel, then I'll happily play all of its ridiculously-named offspring. Overall this game is great. It’s not without it’s flaws but those flaws are tiny compared to the huge world, interesting story and beautiful visuals that await you. Bravely Default is nostalgia at its best, bringing back something old with just enough new to make it interesting again. If you haven’t bought it already, go and get it. Despite that unwelcome intrusion and the lacklustre storytelling, Bravely Default is one of the finest RPGs Square Enix has been involved with in recent times. While it's a stretch to call its battle mechanics groundbreaking, they certainly represent a welcome level of innovation that has a palpable effect on the way you approach combat and makes Bravely Default a highly entertaining adventure. Any 3DS owner with even a fleeting interest in role-playing games and a desire to get lost in an incredible, engaging adventure would be doing themselves a huge favour by picking up Bravely Default without delay. Bravely Default is a refreshing infusion of modernity into what's otherwise a traditional old-school RPG. It adds some new spice to turn-based battles, while also adding an engaging story, an engrossing Job system, and much-needed customization. It even utilizes StreetPass in an effective way that helps move the story forward. Bravely Default’s decision to transform turns into a currency adds a layer of complexity to classic JRPG combat, and the flexible job system gives you tons of room for customization. Honestly, if you’re a fan of the genre, then there’s little here not to like. 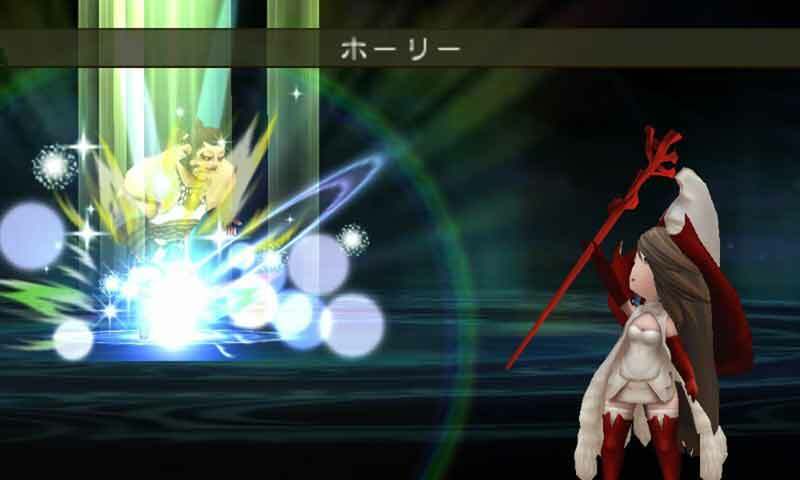 Bravely Default is the best JRPG you could play on the 3DS. If I were Square Enix, I would give this same team a Final Fantasy-sized budget and let them make a proper, numbered entry in the series. This is a game that skilfully blends the safe with the courageous in an alchemical fusion of old and new, somehow brave and default all at once. 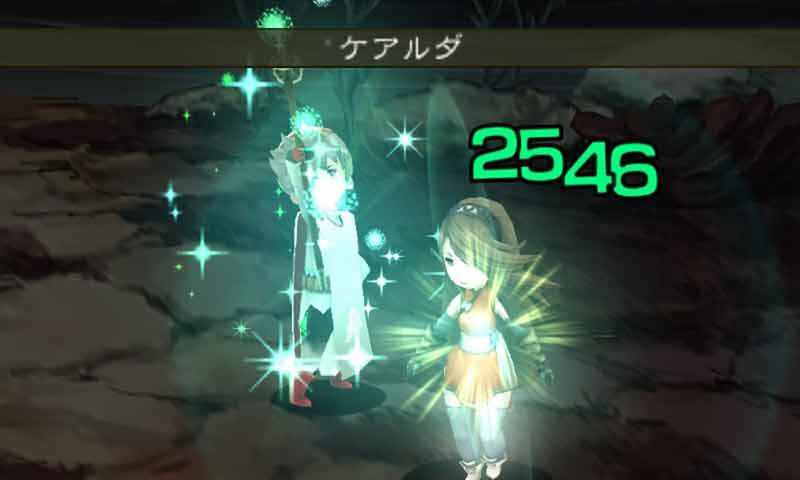 Bravely Default is a joy to play for old school JRPG fans. The music, graphics and mechanics all blend together perfectly and it continues in a already strong lineup of RPGs on the 3DS. 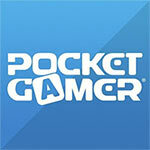 This little handheld is becoming quite the powerhouse for these kind of games. 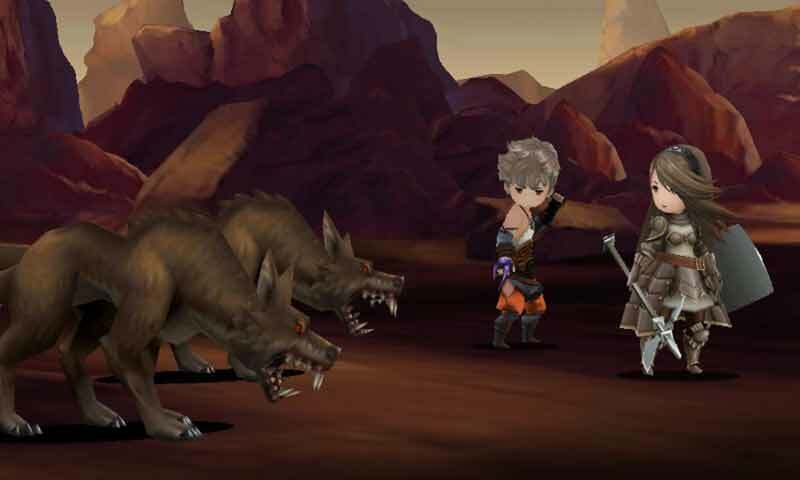 A few minor grievances don't spoil the adventure, Bravely Default is a must buy for RPG fans. It’s rare that I indulge in an RPG due to the immense time commitment. Even rarer still is an RPG that I see through to the end. Bravely Default is so full of old time good RPG fun that you could literally shake a stick at it and it wouldn’t change a thing given how much quality is in this game. Do you have a 3DS? Are you remotely interested in RPGs? Do you want to have some fun? Well it’s simple; you’ll want to buy Bravely Default as you seriously won’t regret it. Bravely Default is proof that you can mix classic and modern design successfully. It knows exactly what makes the genre great — the constant emphasis on leveling and improving, of fighting ever more powerful foes until you acquire an almost god-like status, all while opting to let the player decide the particulars of their experience. 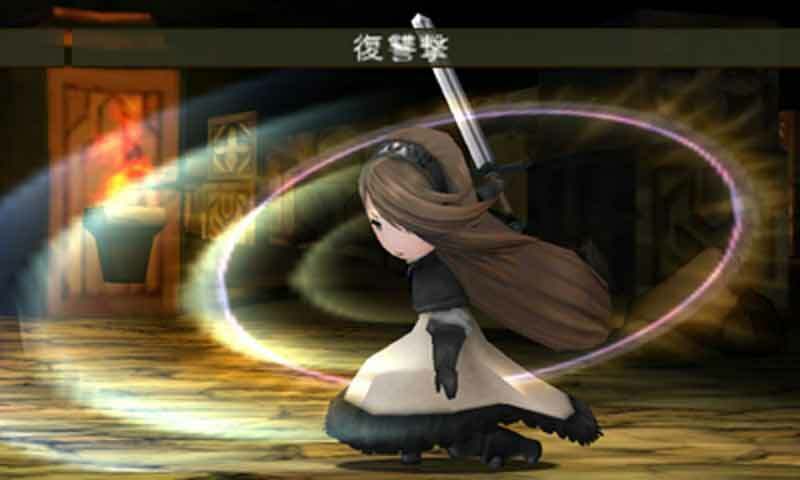 Bravely Default's ideas are, arguably, mostly novelties adorning what remains a traditional game at heart. Certainly the interplay of combat and fiction is familiar - potently so. 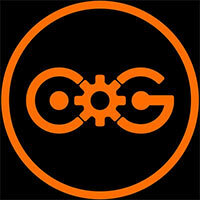 But the core conceit adds new capacity for strategy; it's a genuine and interesting invention. In the end, I recommend anyone with any degree of love for the Japanese RPG genre to buy Bravely Default and enjoy it for what it actually is. Disregard the micro-transactions, ignore the SP-cheating, and you've one of the best RPGs for the 3DS since Fire Emblem: Awakening. This is the road the Final Fantasy series should have taken; a refreshing new take on JRPG that will have fans of the genre giddy with excitement. En conjunto Bravely Default es una mezcla con la cantidad justa de ingredientes de todo lo que caracteriza a los JRPG, y precisamente ese acercamiento casi reverencial a lo tradicional lo convierte en un gran homenaje al género, a pesar de algún altibajo. 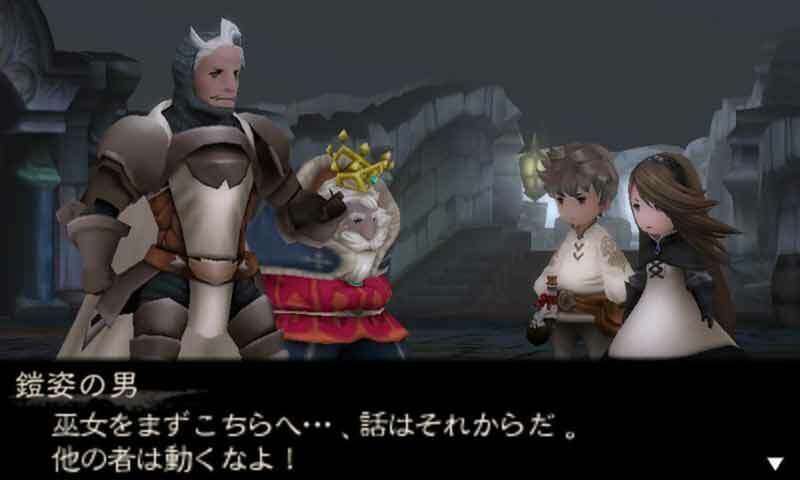 Bravely Default es una maravilla hecha juego, una aventura sencillamente indispensable para cualquier usuario de Nintendo 3DS que quiera disfrutar de una historia trabajada, combates épicos y una realización técnica soberbia. Pocos títulos de este mismo género nos han ofrecido las mismas cotas de excelencia que esta grandísima producción. Y no nos referimos únicamente al catálogo de juegos de esta consola, sino en general. Bravely Default es simplemente el mejor JRPG que ha aparecido para Nintendo 3DS hasta la fecha, un ejemplo de cómo actualizar el género sin perder su esencia, renovando viejas fórmulas para ofrecer un resultado excelente, simple pero excelso. Einzig der mitunter recht zähe Spielverlauf und die schablonenhaften Charaktere trüben die Abenteurerfreude. Auch bei der Inszenierung hat man nach dem grandiosen Auftakt einiges an Potenzial liegen lassen. Nichtsdestotrotz werden Genrefans gut und lange unterhalten - vor allem, wenn sie auf klassische Rollenspieltugenden stehen. Véritable Canada Dry d’un Final Fantasy dont il reprend pourtant énormément d'éléments de jeu et de nomenclature, Bravely Default donne un nouveau souffle épique au JRPG, mais sur console portable. Avec son système déjà éprouvé et tellement malin de classes avec acquisition de capacités spéciales et ses combats dynamiques, il marque déjà un point dans le coté actif du genre. Bravely Default est certainement le jeu 3DS dont on attendait le plus la confirmation en Europe, et ce depuis de très longs mois. Désormais accessible dans notre langue, cet excellent jeu de rôle se montre largement à la hauteur de nos attentes et réussit à nous transporter pendant des dizaines d'heures dans ce qui pourrait bien être la nouvelle référence du J-RPG. "C’est dans les vieux pots qu’on fait les meilleures soupes", voilà un proverbe usé jusqu’à la corde mais qui convient bien à Bravely Default. Square Enix et Silicon Studio offrent ici aux fans de J-RPG un concentré de tout ce qu’ils apprécient depuis la création du genre, dans une formule très adaptée à la portable de Nintendo et surtout avec juste assez de nouveautés pour attiser la curiosité. Em termos narrativos, o argumento começa pelo que há de mais tradicional. Um mundo em verdadeiro sobressalto, uma personagem feminina em apuros e um herói, qual sobrevivente de uma catástrofe de proporções épicas (um terramoto) que engoliu a sua aldeia, que opera em seu auxílio. L’eccellente gestione delle classi e un sistema di combattimento fluido e strategico aiutano a rendere Bravely Default un degno discendente dei primissimi Final Fantasy, ma anche il punto di partenza per un seguito che sappia andare oltre a una meccanica tanto lineare e viziata da un’esplorazione assente. In questo momento il 3DS sembra essere la console perfetta per il ritorno in grande stile dei JRPG, siano essi strategici come il supremo Fire Emblem: Awakening o questo affascinante viaggio nella tradizione chiamato Bravely Default. Bravely Default maakt wat misstappen maar uiteindelijk overheerst een game die het stijve JRPG-genre de boost geeft die het al zo lang zoekt. Silicon Studio durft spelers eigen beslissingen te laten maken over hun speelstijl. Dat levert een ervaring op die een modern publiek aanspreekt, zonder daarbij de verstokte fanaten uit het oog te verliezen. Bravely Default is dan wel een klassieker, maar ziet er fantastisch uit en speelt heerlijk weg op de 3DS. Vooral de filmpjes zijn een genot voor het oog, maar er wordt ook goed gebruik gemaakt van de mogelijkheden van de 3DS, zoals 3D visuals en Augmented Reality. Helaas kent de game ook enkele minpunten.